Don’t get caught with an empty table! This post comes during the process of preparing my family’s wardrobe for a semi-formal Saturday evening wedding. It’s taking a lot of work! Not only do I need to gather all the items for all five of us (“hmm…I guess Plays with Fire can’t wear his hiking boot socks with his suit”), but I need to make sure the items that we rarely pull out of the closet are clean, pressed, and mended. My daily lifestyle doesn’t prepare me for this level of wardrobe scrutiny! But every once-in-a-while, special events pull us out of our dailiness and require more preparation. Any work and investment done ahead of time (Boy, am I glad we accepted that suit when my parents offered to buy it!) means a greater ease when the time for needing it all comes. The tea party can be the same way. 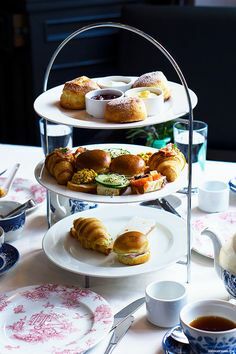 While I am a believer in the daily tea ritual and the ability to take advantage of impromptu hospitality opportunities, to prepare for the special occasion tea party takes time, work, and investment. Is it possible you need to be prepared? Give the tea center-stage. Make sure it stays hot and is brewed correctly from quality looseleaf tea. Pour the tea well. This means not filling the cups too full, separating the cups from their saucers, or having to reach across your guests to pour it. 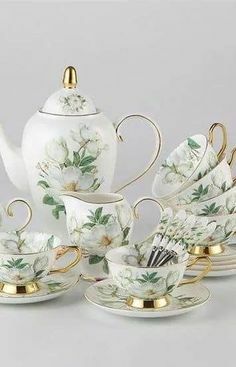 If you’ve been invited to a formal tea as a guest, DO NOT fill your cup to the rim with milk and sugar. 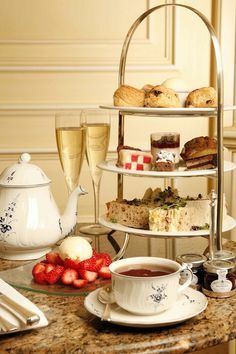 Ideally, someone else is preparing your tea for you as is proper at a formal tea party. And nibble, don’t gobble the food provided. Lay out, borrow, or buy the best you can of silver, porcelain, and white linen. If you can’t brew the tea neatly in front of your guests with the process described above, brew the tea in the kitchen. Do not expect your guests to brew their own tea, with bags or with leaves. The book provides a thorough explanation of the serving process and tea table setting. The etiquette of tea pouring at a formal tea party places the proper importance of the beverage as the center of the event and worth reading. Any other thoughts on the formal tea? My dear mother who went to college in the early 60s in the South was quite surprised to learn the local college sororities couldn’t care less about tea education. What occasions still call for a formal tea service? Do you think it will ever find mainstream status again? Please leave a comment and tell us what you think. A special note for my email subscribers: If you click on the title of my post in your email or any item highlighted in blue, it will take you directly to my site where you can post a comment or participate in a poll. Please vote in Monday’s poll if you haven’t yet, as I know it’s not possible without directly visiting my site. We’d like to know your opinion, too! Lastly, I expect to be off-line most of the rest of the week because of the out-of-town wedding this weekend. But look for a new post Monday! the Queen Mum and I decided to have a tea party. suggestions. Thank you for having such a wonderful site. I was so excited to see an email from you this morning!!! You have so much material that I didn’t even realize it was an older post until I got to one I had read. Thanks for posting these ~ it’s a great way to let us all experience all of your posts! Hope schooling and all is going well. I think that hosting a tea party is a WONDERFUL way to entertain during the recession. 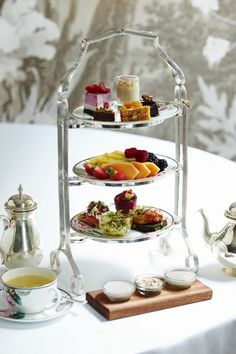 Many of us already have the serving utencils so it’s only a matter of water, tea, and then baked goods and low budget dainty foods such as tea sandwiches.